Update (2:15 pm ET): The Wall Street Journal reports that Boeing is making a significant software change to a flight-control system in the new 737 MAX aircraft implicated in last year’s Lion Air crash. The change, which was in the works before the Ethiopian Airlines plane crashed over the weekend, would mark a major shift from how Boeing originally designed a stall-prevention feature in the 737 MAX when it first delivered to airlines in 2017. 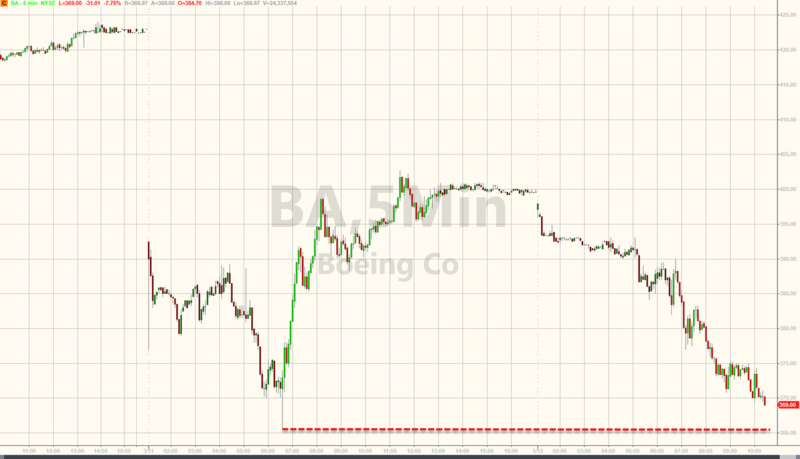 So far, Boeing shares are unimpressed. Update (1:25 pm ET): The European Union’s aviation authority suspended all flight operations of the 737 Max 8 and larger 737 Max 9 in Europe, and banned flights from outside the region starting at 7 p.m. London time.The agency, which usually goes along with the FAA, said it was acting out of an abundance of caution and out of concern for passenger safety. “The accident investigation is currently ongoing, and it is too early to draw any conclusions as to the cause of the accident,” EASA said in an emailed statement. Over half the global fleet is now grounded. As The Washington Post reports, calls from members of Congress to ban the Boeing 737 Max from U.S. airspace increased Tuesday, with Sen. Mitt Romney (R-Utah) joining several Democratic lawmakers in advocating for restrictions similar to those imposed by a growing list of other nations. In a tweet, Romney said the Federal Aviation Administration should ground the planes "out of an abundance of caution for the flying public" following Sunday's Ethio­pian Airlines crash that killed all 157 people onboard. As of late Tuesday morning, at least three other senators - Elizabeth Warren (Mass. ), Dianne Feinstein (Calif.) and Richard Blumenthal (Conn.), all Democrats - called on the FAA to follow the lead of authorities in Britain, Germany, China and other nations. Trump then added that :"I don’t know about you, but I don’t want Albert Einstein to be my pilot." 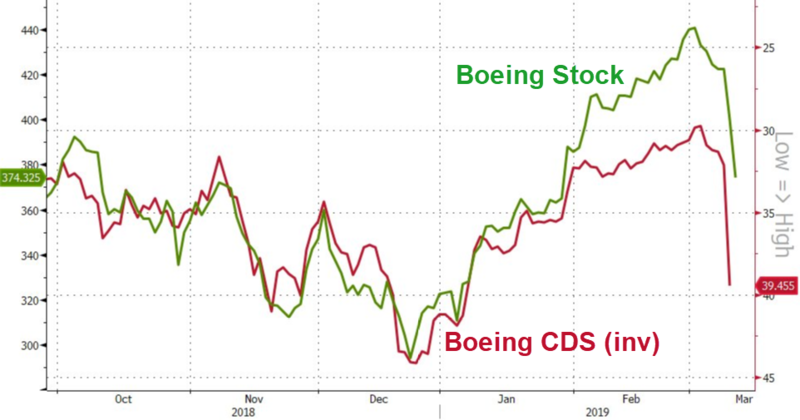 Boeing shares have extended their drop to over 5%. Update (9:45 am ET): And Norway joins the fray: Norwegian Airlines announced that it will stop flight with 18 aircraft on recommendation from European air safety authorities, E24 reports, citing a statement from company; the news sent Norwegian's stock as much as 9.2% lower. Norwegian has 18 Boeing 737 MAX 8 in its fleet today. The total order of these aircraft is 110. Following the decision by the relevant aviation regulatory bodies to temporarily suspend operations of Boeing 737 MAX, Norwegian announced it would not operate any flights with this aircraft type until further notice. We remain in close dialogue with the aviation authorities and Boeing, and follow their instructions and recommendations. "We would like to apologize to customers who will be affected by temporary cancellations and delays, but the safety and security of our customers and colleagues will never be compromised, and once authorities advise to cease operations we will of course comply", the company said. “Our thoughts go out to everyone affected by the tragic accident in Ethiopia yesterday. Europe's Aviation Authority (EASA) is said to plan to follow the UK in halting 737 Max 8s. Additionally, state-run Oman Air has suspended all 737 Max flights. 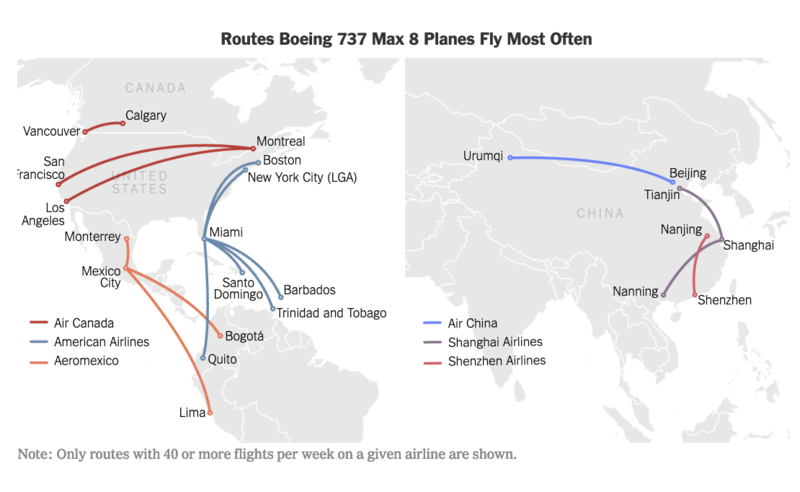 How much longer before every nation except the US has grounded the 737 Max? Update (8:15 am ET): Malaysia has joined many of its neighbors in the Asia-Pacific region in grounding all Boeing 737 MAX 8s. The Malaysian Aviation Authority has issued a statement on the grounding, it said the planes would be banned from flying until further notice. Meanwhile, Bloomberg reported that Indonesia’s Lion Air, one of the biggest customers for the 737 Max, is refusing to take delivery of more planes and might even switch to Boeing rival Airbus as it remains bitter over the October crash that killed a plane full of people when a Boeing 737 MAX 8 plunged into the Java Sea. Despite a reassuring (for some) statement from the FAA affirming that Boeing's 737 MAX 8 planes remain "safe" for flight, more countries on Tuesday have opted to ground the planes, including Singapore and Australia, in a rare break with US air-travel regulators. Australia’s Civil Aviation Safety Authority said on Tuesday that it had suspended the operation of all Boeing 737 MAX aircraft flying to or from the country. 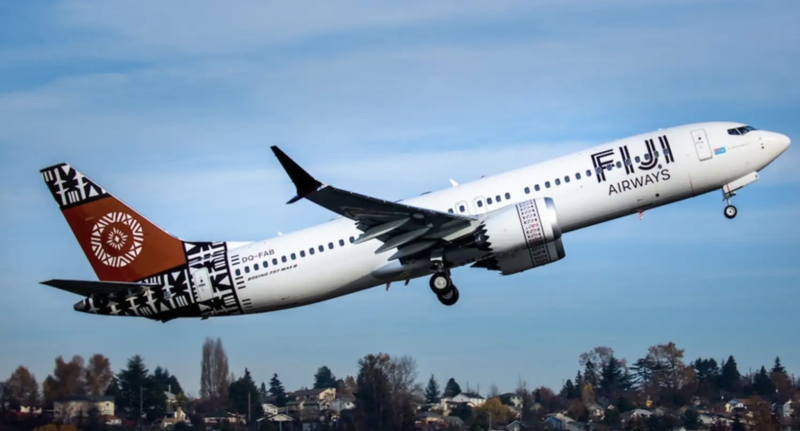 Since no Australian airlines fly the aircraft (though its Virgin Air recently ordered dozens of new MAX 8s), the decision only impacts the Singaporean airlines SilkAir and Fiji Airlines, according to the FT.
“This is a temporary suspension while we wait for more information to review the safety risks of continued operations of the Boeing 737 MAX," said CASA' chief executive and director of aviation safety, Shane Carmody, in a statement to the Sydney Morning Herald. Meanwhile, Virgin Australia has 40 MAX aircraft on order, and said it was "closely watching the situation", and hinted that it could change its order depending on the outcome of the investigation. "With our first aircraft delivery not due until November this year, we believe there is sufficient time to consider the outcome of the investigation and make an assessment," a Virgin spokeswoman said. 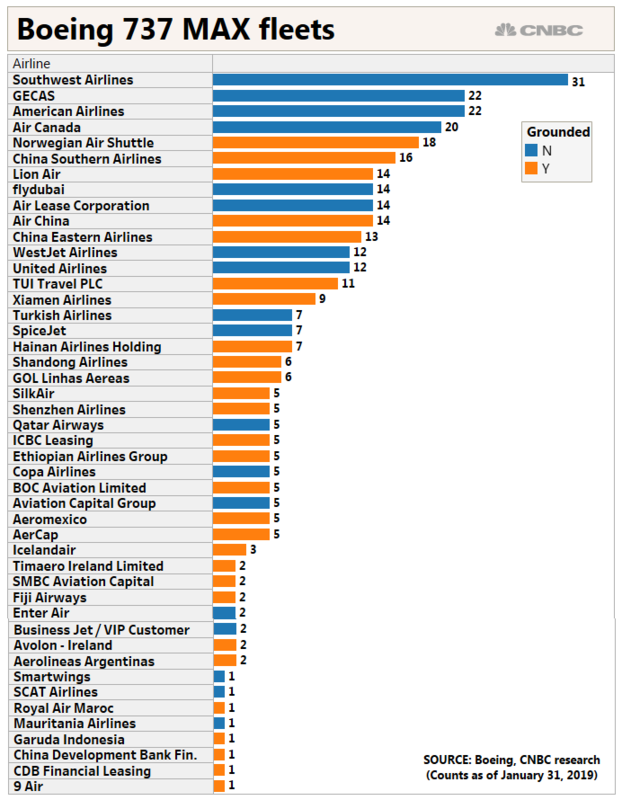 So far, more than half of the airlines flying the 737 MAX 8 have grounded the planes. Yesterday, China, Ethiopia and Indonesia grounded said they would wait for more details of Sunday's crash to emerge, while a few Latin American countries followed suit. The plane only entered service in 2017, have grounded the aircraft, according to the New York Times. Though Southwest Airlines and American Airlines have continued to use the aircraft, following the FAA's advice, they said they would be keeping an eye on events. Boeing has delivered 350 of the aircraft since it entered service, and has a backlog of more than 5,000 orders. 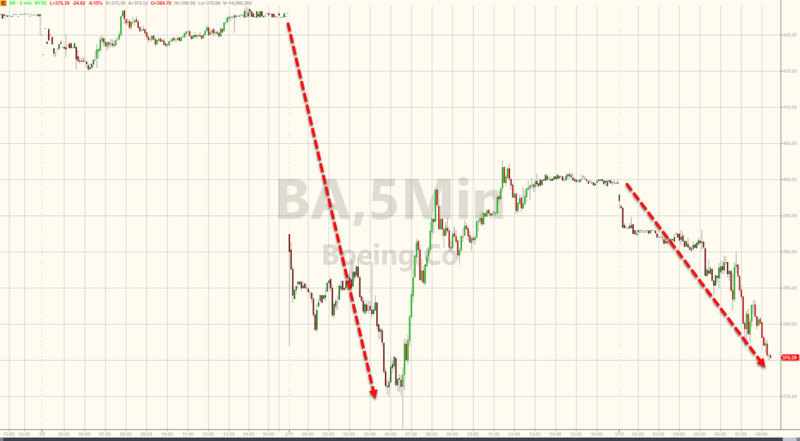 Boeing shares closed off the lows on Monday, but appeared to be headed lower once again in pre-market trading.